Discussion in 'Scotland' started by David Bolt, Apr 7, 2019. On the face of things, Fort William FC should be the most mocked team in the UK. This is a team that frankly, are the worst in Britain by far. They are about to finish bottom of their league for the 15th time in the last 21 seasons. A team that last season failed to win, only drew 5 games, and conceded a whopping 184 goals along the way. And then got worse. This season, with three games left, Fort William’s record is P31 W0 D2 L29 F19 A 227. They don’t even have the dignity of having a positive points total; a 9 point deduction for fielding an ineligible player on three occasions means they currently have -7 points. But, Fort William don’t deserve any mockery. They deserve our respect. Because they are a team that has a huge amount of disadvantages. Just the fact that they’re playing is an achievement in itself. Fort William is a town in the Scottish Highlands. Despite being the second-largest Highland town, it’s still a really small place, with a population of about 10,000 and is best known for being the starting point for people who want to climb or hike up Ben Nevis, the UK’s highest point. Fort William FC have been playing since 1974, and in 1985, made the step up from the North Caledonia League, where they won their one and only league title, to the Highland League. The Highland League, as well as the Lowland League, are below Scottish League Two in the Scottish Football pyramid. The winners of the Highland and Lowland leagues playoff against each other, then the winners take on the bottom-placed side in League Two for a promotion/relegation playoff. As the name suggests, the Highland League covers the north of Scotland. In reality, most teams in the league are technically not in the Highlands, and are clustered within the 100 miles or so that separates Inverness from the much larger city of Aberdeen. The Highland League is a reasonably good standard of football and when the Scottish Football League (SPFL) have expanded, or have had teams fold and need replacing, they have looked to the Highland league, with Ross County, Inverness Caledonian Thistle (formed when two Highland league teams from Inverness merged), Elgin City and Peterhead all having been added to the SPFL in the last 25 years. But, Fort William are at a considerable disadvantage to the other teams in the league. One of those is the remote location of the town, which makes them the most southerly and westerly of the league sides. To play, Fort William have to travel some daunting distances. The nearest side to them is Inverness-based side Clachnacuddin, and even that’s a two-hour, 65-mile journey each way. When they play Fraserburgh, and Wick, it’s closer to an eight-hour round trip. This, plus the fact that the single-lane roads in the area means reduced speed limits, meaning you can’t get to or from the area quickly, makes it really hard to attract players. This is a semi-professional league, so imagine working all day, then having to drive for several hours to play in a game you’re likely to lose heavily, and then face another long drive home in the dark to get up for work again the following day. That’s what Fort William’s players do. Some travel from as far away as the Isle of Skye, a 2-an-a-half hour drive whether they’re picked or not. These players are true football diehards and deserve our respect. To try and get around this, Fort have to hold training in two places, with the local-based players training in Fort William and the players based around Inverness teaming up with fellow Highland League club Buckie Thistle, to hold a joint training session there. It’s also extremely tough for the club to develop their own players because Fort William happens to be in an area of Scotland where football isn’t the most popular sport. The most popular sport in town and in the surrounding areas is Shinty, which is similar to the Irish sport of Hurling (image a hybrid of lacrosse and hockey) and is ingrained into the culture of the town. Fort William has two teams both around a hundred years old, and a reserve team in the Shinty league system. Rugby Union is also a popular sport in town. It’s quite likely that a lot of the people who play football in Fort William will also play shinty; and given the choice between the two sports, would rather play the latter. In his autobiography, former Chelsea and Aberdeen striker Duncan Shearer, a Fort William native, speaks about how, even at the height of his football career, his dad would always be asking him when he was giving football up to go back to playing shinty. There’s also the issue that the remoteness of the town means that a lot of people will move away for work or to study, which again robs the club of several potential players. Despite this, Fort William does have a youth academy and two notable footballers have come from the town. There was Duncan Shearer, who never player for Fort William, but started his career at Clachnacuddin before being signed by Chelsea. The other is John McGinlay, who started as a 16-year-old for Fort William, scoring 61 in 92 games, before moving on and eventually playing in the Premier League for Bolton Wanderers, and for Scotland. The next disadvantage is the climate. Fort William’s stunning Claggan Park stadium is certainly scenic, with it nestling between the river Nevis and the big hill Meall an-t Suidhe; with a view of Ben Nevis. But it is also very, very wet. Despite it having been turned 90o in a bid to solve waterlogging problems, the pitch still regularly floods, or, as happened before yesterday's game v Nairn County, worse. In fact, a few weeks ago Fort William were actually winning a game against Wick when the weather caused the game to be abandoned. The pitch had a load of surface water on it and as the Fort William goalkeeper made a routine save he got so much mud in his eye, he had to go off, which made the referee deem the surface as unplayable. The other disadvantage Fort William have is a financial one. There is a real disparity in the Highland League in terms of money. Some parts of northeast Scotland are very affluent thanks to the Scottish oil industry, and some of that money has made its way into Highland League clubs. Aberdeen-based side Cove Rangers, likely to be champions again this season have managed to build a new £3m stadium that is suitable for the SPFL. Other teams are owned by people who run large companies, and manage to entice new signings with jobs, signing on fees and other perks as well as paying transfer fees. Fort William’s finances are much more modest. They pay their players £15 a match, plus a win bonus. The distances they have to travel mean that they face huge travel costs. The club have set up a crowdfunding page to try and raise money for some better equipment to maintain the pitch. Last year, all the losses took their toll. The board had had enough and last January informed the club that they were stepping down and withdrawing their financial support. There was a real danger that Fort William would have to resign from the Highland League, and possibly have folded altogether. Happily, a new board was formed, and the club soldiered on. The uncertainty meant that an already beleaguered team was even further behind the rest when it came to prepare for the new season. By the time they appointed a manager, they didn’t have any players, so had to cobble together a side. And that’s one of the reasons the results have been so poor. They have been playing the majority of the season with a load of young players and triallists. Fort William’s start to the season was astonishingly bad. They conceded 48 goals in their first 5 games. After 16 games they had conceded 115. That would break most teams, but Fort William have a remarkable spirit. Board member Colin Wood says “For me, what sums up this club is a time when the bus broke down on the way to play Cove Rangers. We had to come back and get cars. All the players drove or were driven, knowing there is class difference in Cove and there was a good chance they would get beaten. In fact, we lost 11-0. 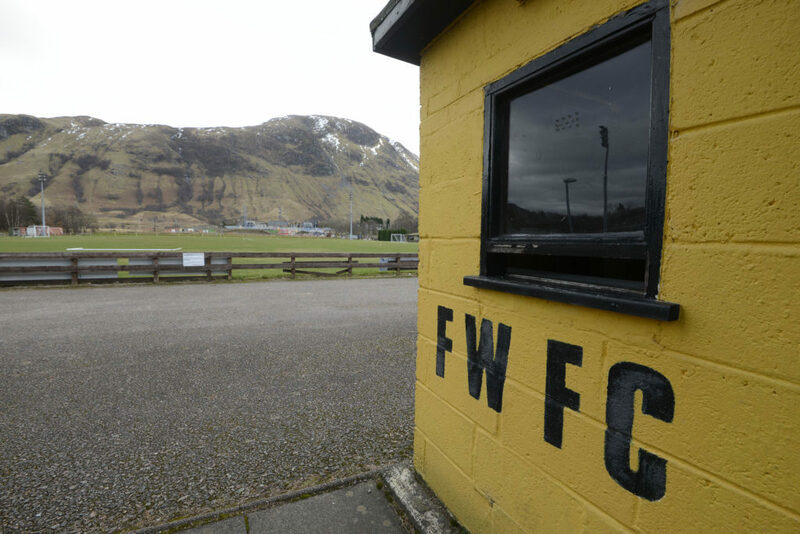 It would be premature to say things are looking up for Fort William, but they do seem to have a plan including increasing the number of players available and driving up standards. They have secured sponsorship for next season, so will be back. They have also been helped by YouTuber Loki Doki, who has been playing Football Manager 19 as Fort William. Him and his fans raised over £5000 for the club, which will be a big help to them. It would be easy to laugh at Fort William, but you would be wrong to do so. In his documentary, A Long Way To Winning, filmmaker James Baines captures the essence of Fort William’s spirit. They don’t care if they don’t win, what’s important to them is that they can keep playing and keep the team alive not just for their town, but as the only club in the Western Highlands, there’s a whole region they represent too..
Capt.Tsubasa, PhillyFury, urtel and 17 others repped this. If roughly half the players are commuting from the Iverness region, they are doing so because they couldn't make any of the half dozen or so Highland League teams closer to home. Fort William probably doesn't have many (if any) players who could make the extended roster at any of the other Highland League's clubs (with the exception of Lossiemouth who also has a worse than -100 GD this year). After some Google and Wikipedia spelunking... it appears the amateur league that covers the area is the Skye & Lochalsh AFA, which plays a short summer season. There is already another Lochaber club in that league. If they want to keep playing the regular fall-to-spring season, their options are more limited. They could drop back down to the North Caledonia League where they played before, and they'd likely have better results on the field, but their travel time and travel expenses would actually increase. Similarly, if they were to affiliate with the SJFA, their travel would increase as well because the North region of Scottish junior football appears to be concentrated around Aberdeen.